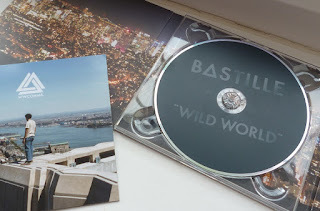 Today I’m writing my first ever album review and it’s of Bastille’s new number one album, “Wild World”. I’ve been waiting so long for them to release another album as it’s been three years since I bought their first one, so I was very excited when it came through the door the day after it was released. When I listened to it, it definitely didn’t disappoint! The album starts with the first single, ‘Good Grief’, which I’m sure you’ve heard on the radio. It’s a great, upbeat start to the album and really gets the mood and sound going for the rest. I have the deluxe edition because I couldn’t resist – which has a huge total of 19 songs on it! 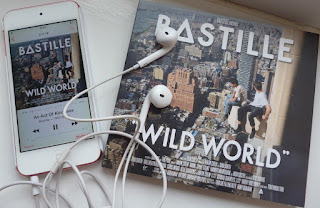 Bastille have such a unique sound which I adore, the music is so atmospheric and the lyrics are incredible. One of the coolest things about this album is that throughout it, there are clips of people talking which are like sound recordings. I’m not entirely sure what they’re from, but they bring such an original aspect to the album and to the songs they feature on. I also love the fact that this album has such a great balance between upbeat songs and slower, ballad type ones. 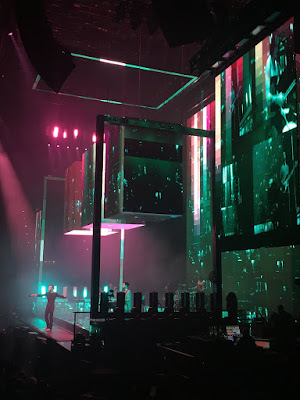 ‘Two Evils’ and ‘These Four Walls (The Ballad of Perry Smith)’ have such a chilled vibe and are a beautiful contrast to more fast-paced songs such as ‘The Currents’ and ‘Snakes’. Unfortunately this song is only on the deluxe edition of the album, so if you already have the normal edition please give this song a listen and if you don’t, go and buy the deluxe edition! It’s only about £2 more and it’s so worth it. This song spoke to me the first time I heard it and I still marvel at its greatness to be honest. It has such a strong message, I related to it so much when I looked the lyrics up because it was actually exactly the same theme as the poetry collection I wrote for my dissertation. The most powerful lyric of this song for me is ‘When panic rises like the oceans / we just keep on flicking through the stations / ‘cause if we don’t post it, does it happen?’. It literally just speaks to my soul. The song is about the amount of tragedy in the world and the fact that despite all of the awful things we see on TV we have the choice to just ignore it and switch it off. ‘It only matters if we care now’ – it’s our responsibility to care about what’s happening in the world and to try to make a positive change. The fact that Bastille have managed to get such a deep, meaningful message into a 3 minute, 19 second song blows my mind. This song is actually the second single from the album, and usually I won’t pick a single as my favourite song because, you know, it’s too mainstream. All kidding aside though, this is such an amazing choice for the next single because that means more people get to experience how incredible it is. My inner English Literature nerd was unleashed when I first heard this song. I heard it talking about jealousy and I thought, hmm… that reminds me of Othello. Then I heard the name ‘Desdemona’ and my Shakespeare-loving brain went OH MY GOD! SHAKESPEARE REFERENCE! I am not kidding, I actually got that excited. I looked up the song on the internet and found out that it does indeed use references to Othello. That’s probably one of the main reasons it’s one of my faves, let’s be honest, but overall it has such an awesome vibe about it – the background music, the lyrics, the beat, everything. Another fab upbeat song, I just love it – not for a particularly deep reason like the last two but just because of the catchy tune and the funky background music. The lyrics are pretty sweet too. This song is a great cross between upbeat and chilled, all in one song. That’s the reason why I love it – the verses are kind of relaxed, low key, showing off Dan (the lead singer)’s amazing vocals, and the chorus is more fast-paced and catchy. I love, love, love this song! It’s so upbeat, has a great rhythm and feel to it and is just an all-round amazing song. I imagine this is such a fun song to hear live, I already feel like getting up, dancing and clapping along every time I listen to it so I really hope they play it when I go and see them in November! It was actually incredibly difficult to choose just five top songs from this album as they are ALL so amazing, I literally feel bad for every song I didn’t pick because they are all so good. I very rarely say this about an album, but there isn’t one song that I dislike. Usually there’s a certain song on an album that I’ll always skip because I’m just not feeling it, you know? But not this one. I honestly adore every single song and I am so impressed with the album. I loved their first album, but this one just blows it out of the park. Bastille have such a unique sound, and that coupled with the incredible lyrics and melodies on this album make it possibly my favourite album of the year. Yes I said it. I’m that impressed, and I am even more excited to see them in just over a month now! 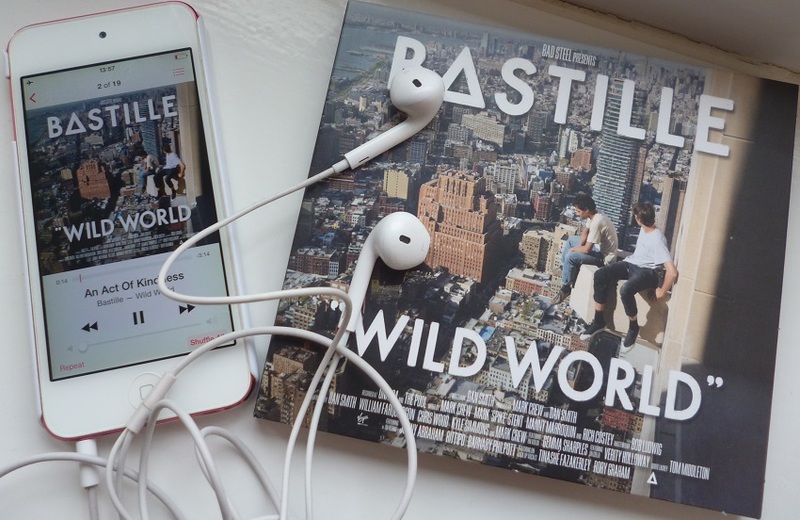 Have you listened to “Wild World”? What’s your favourite song, and do you love it as much as I do? I’d love to hear your thoughts, and also whether you enjoyed this type of post and if you’d like to see more album reviews in the future!